Be the first to share your favorite memory, photo or story of Orville. This memorial page is dedicated for family, friends and future generations to celebrate the life of their loved one. O. A. 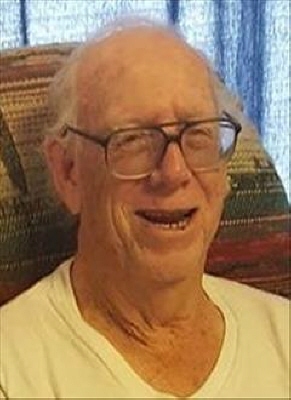 (Tony) Haney passed away peacefully on June 9, 2018 in Duncan, Oklahoma. A memorial service with full military honors will take place on June 15, 2018 at 1 p.m. at the Ft. Sill National Cemetery in Elgin, Oklahoma. The Reverend Randy Southerland will be officiating the service. Arrangements are by Bailes-Polk Funeral Home of Duncan, Oklahoma. Tony was born in Refugio, Texas to Orin Lee and Elizabeth Louisa (Sevier) Haney. He attended Refugio High School. After school, he worked for a Texaco agent, Ross W. Norman, for most of his life. He was a lifelong resident of Refugio until August of 2018 when he moved to Duncan to continue his healthcare at Wilkins Nursing and Rehabilitation Center and be closer to his brother John G. Haney. Tony was an avid hunter and gun enthusiast and a member of the National Rifle Association. He loved visiting gun shows and investing in rare guns and ammunition. Tony was a founding member of the Refugio Dairy Queen Coffee Club. Even though several of the founding members have passed on, the remaining members still meet every morning. Tony was a veteran of the United States Army. He served 1 Â½ years in Korea during the early 1960s. He was a rifle and carbine marksman. When he left the army, he was at the rank of Specialist 4 and received the Good Conduct Medal. Prior to his move to Duncan, his niece, Mary, cared for him and managed his affairs for many years. We can never thank her enough for the time and energy she spent to care for our uncle. As a family, we owe her our deep-felt gratitude and thanks. Tony was preceded in death by his parents, Orin Lee and Elizabeth Louisa (Sevier) Haney; two brothersâ€”Wallace Joseph Benedick and Frances James Benedick; two sisters-in-lawâ€”Elizabeth (Burris) Haney and Ruth Benedick; and one nephewâ€”James Anthony Benedick. He is survived by his brotherâ€”John G. Haney (Duncan, Oklahoma); sister-in-lawâ€”Harriet Benedick (Port Lavaca, Texas); six niecesâ€”Rhonda (Haney) Hlavaty (Harrah, Oklahoma), Kelly (Haney) Jackson (Duncan, Oklahoma), Karen Vandeberghe Mueller (Victoria, Texas), Mary Elizabeth (Benedick) Adame (Port Lavaca, Texas), Lisa (Benedick) Robbins (Port Lavaca, Texas), and Shelly (Benedick) Tyson (Seagoville, Texas); and one nephewâ€”Ron Benedick (Ardmore, Oklahoma). He is also survived by many great nieces and nephews and great great nieces and nephews. To send flowers or a remembrance gift to the family of Orville Anthony Haney, please visit our Tribute Store. "Email Address" would like to share the life celebration of Orville Anthony Haney. Click on the "link" to go to share a favorite memory or leave a condolence message for the family.